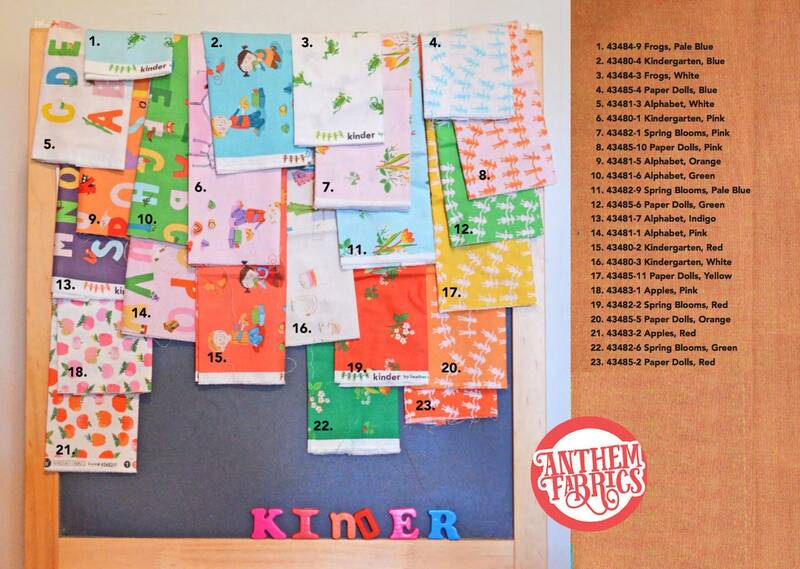 Kinder fabric line by Heather Ross. 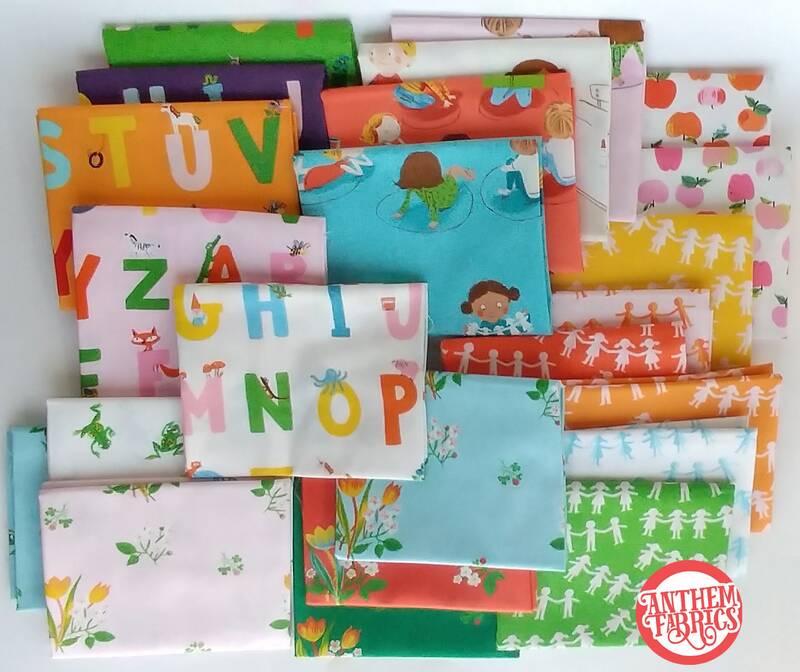 Choose a mini bundle of fat quarters using the drop down menu. 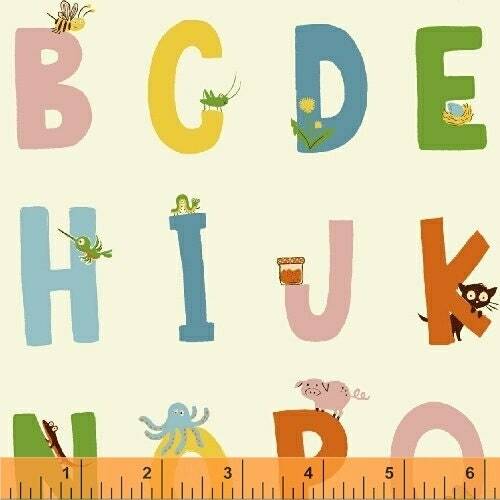 Fat Quarter (FQ) size: 18"x21" (metric: 46x56 cm). 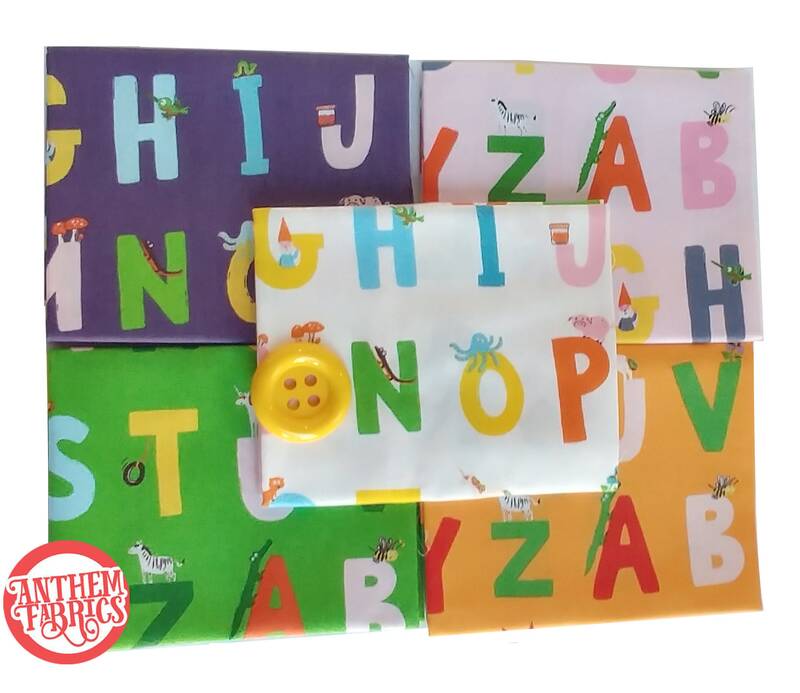 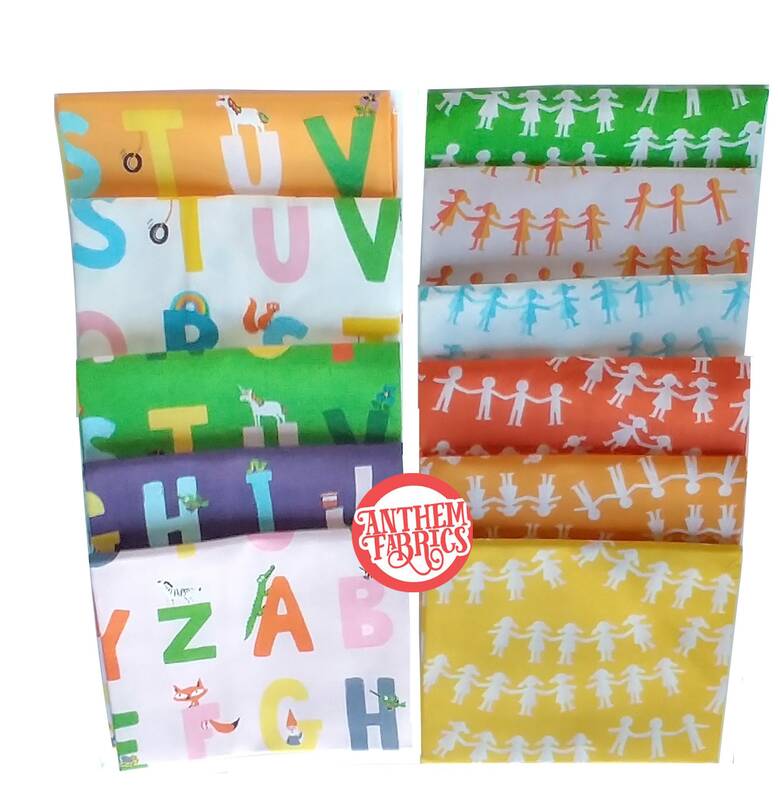 Alphabet Bundle - 5 FQs ( 1 each @ white, orange, green, indigo, and pink). 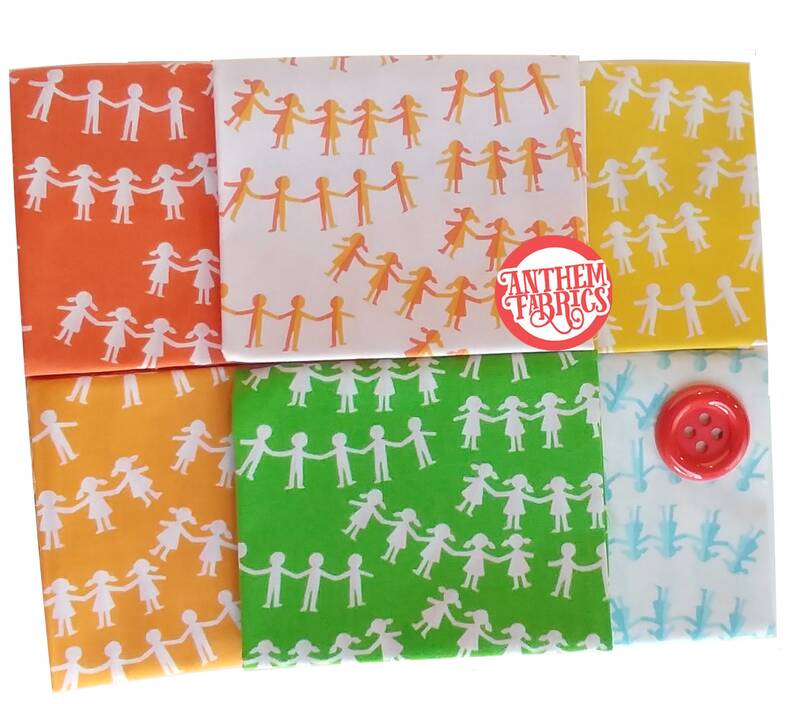 Paper Dolls Bundle - 6 FQs ( 1 each @ blue, pink, green, yellow, orange and red). 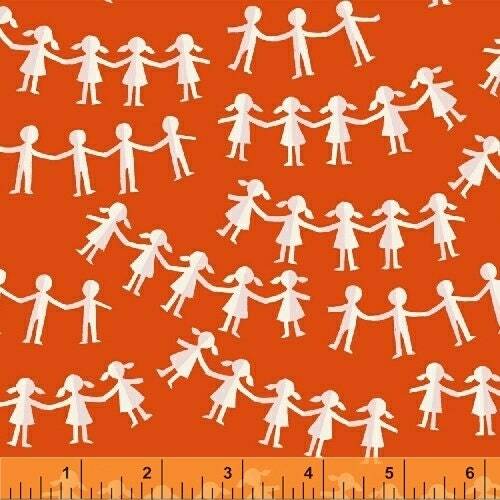 Scale: Button shown in images is 1.5" in diameter ( not included, available for sale separately).